Some people have no idea what size feet they have or what size shoes they should buy. The truth is, this can change depending on what type of footwear you are buying, how old you are, what the temperatures are going to be like, what brand of footwear you are buying, many, many different variables not to mention the units of measure that the brand in quetsion uses. Luckily, Snowboard and Ski boots mainly use Mondo Point, which is Centimetres to you and me. 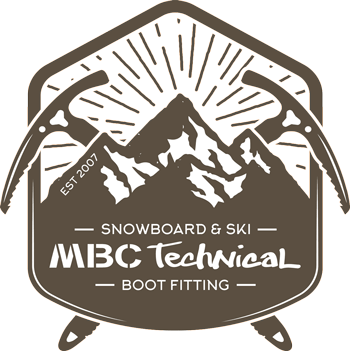 Your size of ski or snowboard boots can be worked out by simply measuring the maximum length of your feet in centimetres, which is Mondo Point. This should be done in a weighted (stood up and knees slightly bent) position. NOTE: Most people have one foot longer than the other so you fit to the longer foot. Mr. Average wears size 9 shoes. When weighted, one foot measures 26.5cm and the other is 27cm. He therefore wears 27mp Ski and Snowboard boots with a nice set of custom made footbeds in each.